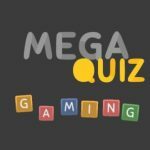 It’s time to put your gaming knowledge to the ultimate test in Mega Quiz Gaming 2k18! Following the success of Mega Quiz Gaming 2k17, HeyNau is back with the latest installment of its popular trivia game. Be warned, this game is not for the gaming novice. You will need to guess over 420 video games that have been trending in the last ten years. But wait, there’s more! You won’t just be guessing the title of the video games, that would be too easy. You will also need to identify the different characters, weapons, and items that are found in each game. Only gamers who have spend time playing all those games will be able to keep up. Of course, knowing the answers is only half the battle. Since it is an actual battle between real players, you have to be on your toes. You won’t have a lot of time to think about the answers since your opponents might be able to buzz in their answer first! You have to know the answers instantly if you want to win! Are you ready to prove yourself in the most rigid gaming quiz of all time? The battles won’t be easy, especially since you won’t be able to rely on stock knowledge from retro games to save you. 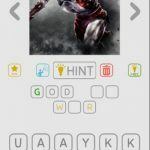 If you are not updated in the latest and greatest, you will need the help of our Mega Quiz Gaming 2k18 answers, cheats and solutions in order to win! UPDATE: If you need the complete list of answers for Mega Quiz Gaming 2K19, then check out this article!